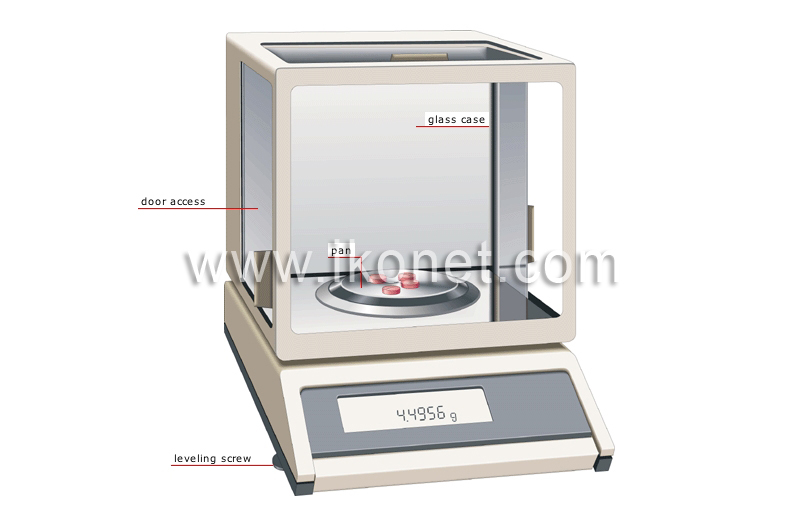 Used especially in the laboratory for taking very precise weight measurements. Screw for adjusting the level of the balance’s base. Flat rigid support on which the specimen is placed. Sliding doors that provide easy access to the inside of the glass case. Glass box that protects the pan from air currents and dust that might cause a false reading of the weight.